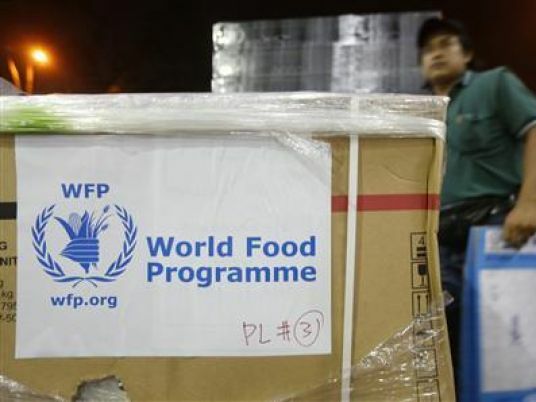 President Abdel Fattah al-Sisi expressed Egypt’s support for the World Food Program (WFP) expanding it’s activities in developing countries, especially in Africa and the Middle East, through implementing economic and development projects with the aim of ending hunger and poverty. The President further expressed Egypt’s readiness in providing all possible facilities to strengthen the WFP’s regional office in Cairo. During his meeting with the WFP Executive Director David Beasley, Sisi praised the activities the WFP in supporting the government to implement Egypt’s 2030 vision. The President also said that Egypt seeks to strengthen it’s partnership with the WFP with regards to food security, supporting small farmers and the National School Nutrition Program, one of the most successful projects implemented by the United Nations specialized agencies in Egypt which has achieved food and health security for school students. Sisi said that Egypt’s vision goes in line Beasley’s desire to expand and strengthen the WFP’s activities in bilateral partnership with Egypt in Africa and the Middle East. According to Sisi, Egypt is more than willing to transfer its expertise towards developing countries in the region in sustainable development, thus contributing to fighting poverty, hunger, extremism, and terrorism. Egypt will focus, through presiding over the Executive Council of the WFP, on guiding the council’s areas of work in line with the interests of developing countries by actively engaging in the formulation of policies of the program to achieve food security, Sisi explained. Beasley praised Egypt’s efforts to achieve food security, adding the WFP continues to support the country through providing all possible facilities and expertise to enhance cooperation between the WFP and Egypt.